commented on "It is often puzzling for cruise ship visitors (who of course have not been to Christchurch before) why there are 2 cruise ship ..."
It is often puzzling for cruise ship visitors (who of course have not been to Christchurch before) why there are 2 cruise ship destinations. The Port of Christchuch is Lyttelton (accessible through a tunnel and 20 minutes drive from the city).....it handles a lot of container freight and is very restricted in terms of working area. The earthquake of 2011 heavily damaged some of the wharves (1.5 metre vertical movement) so that large cruise ships are not able to use them. Smaller cruise ships are however able to use the inner harbour wharves still (roughly up to 1000 pax) and a number visit every year. However, almost all cruise ships go to Akaroa (90 km from Christchurch, 1.5 hours drive) these days which is a tiny village really of less than 1000 permanent inhabitants. Akaroa Harbour is very beautiful and the town has French and Maori history. 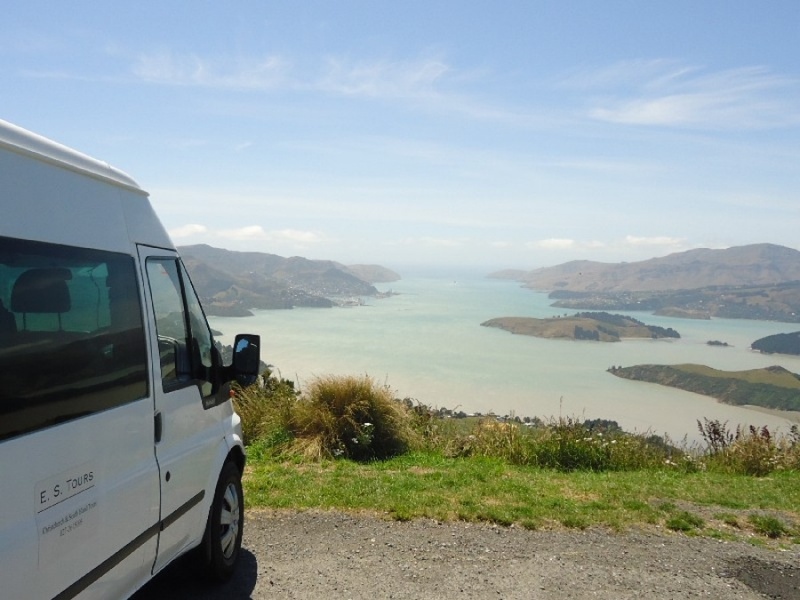 It is a lovely destination and provides the chance to tour from Akaroa through Banks Peninsula to Christchurch......great combination of exceptional scenery and a taste of the city (generally 1.5 hours in Chch). The main cruise arrival at Akaroa is not likely to change in the coming years. There are many obsticles to Lyttelton....possible solutions include demolishing and rebuilding a wharf at great expense or adding an island-like wharf to berth at....again at great cost. The Port of Lyttelton has recently indicated it is not willing to move forward with either option on its own at the moment due to expense.........so AKAROA will be the prefered port (with tenders and its lovely old wharf) for the near future at least. Look forward to seeing you there !